You are here: Home › Club Night Route – 5.8mile MT Elmfield Circuit. 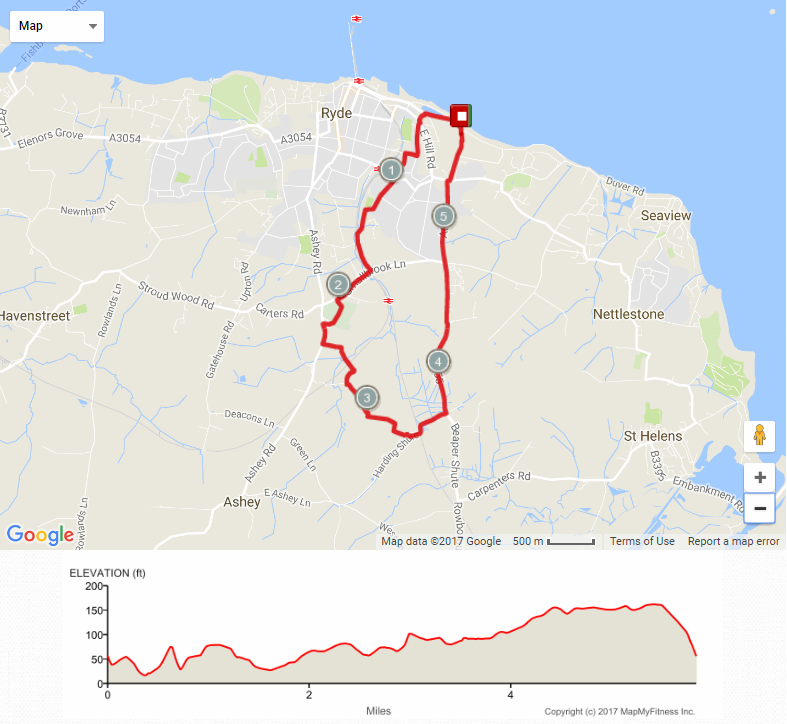 Club Night Route – 5.8mile MT Elmfield Circuit. Directions Turn left out of the Rowing Club, go down the left-hand side of the canoe lake as far as the roundabout, the cross the main road and go up Apply Rise and West Hill Road, staying on the right-hand pavement. Take the second right and go down Park Road, at the bottom of the hill turn left into St John’s Wood Road and run all the way to the end. Turn left and go up St Johns Hill, crossing over, then take the first right into High Street (1 mile), which becomes Cross Street. At the end of Cross Street turn right into Slade Road, and keep following it when it turns into a footpath that runs alongside the railway. When it comes out on Smallbrook Lane turn right onto the road, heading towards Smallbrook stadium. About 150m before the Smallbrook mini-roundabout and just after the builders yard (2 mile), turn left down the footpath that goes around the back of the Smallbrook stadium. (footpath may be overgrown!) Run along the back of the Smallbrook stadium building into the main carpark, take the foot path opposite (by the skip & mobile home), then left onto Ashey Road. Take the first left off Ashey Road down a track that then crosses the railway, one field after the railway crossing turn right and go through a farm yard. On exiting the farm yard turn left and follow the foot path up hill and alongside the woods (3 mile). After going through the gate at the top of the hill, turn left 90 degrees through the hedge a short way into the next field and head through the woods. (Part of the RH cross country course) On exiting the woods, turn right and follow the path around the edge of the field, and take the footpath by the buildings then turn left on Harding Shute. Turn left and go up Beaper Shute (4 mile), towards Westridge Cross. (Be aware of fast moving traffic!) After the Tescos roundabout cross onto the right-hand pavement before you get to the traffic lights. Straight on at the Westridge Cross traffic lights and down Malborough Road (5 mile), and carry on to the end of the road. Cross over Appley Road and go down Appley Lane to the bottom and finish outside the Club.